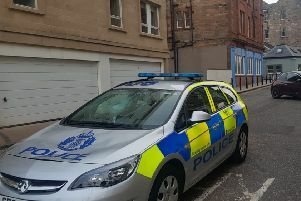 A murder hunt is underway after the discovery of a man’s body in Kirkcaldy. Police Scotland named the victim as Kevin Bynre - also known as Forrester - who was 45. Officers made the discovery when they were called to a property in the town on Tuesday morning. Following a post mortem it was announced they are treating the death as murder. Detective Inspector Carol Craig, from Police Scotland’s Major Investigation Team, said: “We’re appealing for anyone who may have seen Kevin between 9.30am on Sunday 3 February and 11pm on Tuesday 5 February. “Kevin would’ve been distinctive to anyone who saw him because he had an amputated left leg and used crutches.